6th National Cultivating Community Composting Forum! Registration is required to attend all events. This 4-day event will feature a training and field day, a tour of NYC community compost sites, and 2 days of community composters sharing their best practices and lessons learned in a peer-to-peer format. Topics will include: the business of community composting, the compost-soil connection, equipment and small-scale systems, outreach and communications, volunteer/staff management, best management practices for the compost process, and composting for social and environmental justice. Learn about successful initiatives and how to adapt lessons learned to your projects and community. This schedule is subject to change and updates. Choose among five options. More info here. 9:30 a.m. – 4:45 p.m. This bus tour sponsored by the New York City Compost Project will explore an array of Brooklyn’s community compost sites: Red Hook Community Farm, the Salt Lot Community Compost Site, East New York Farms!, and BK ROT. These sites highlight composting methods for both large and small operations and include 3-bin systems, hand-turned windrows, and aerated static piles. The organizational structures of these sites vary in the ways that they engage youth and volunteers, and whether they service commercial or residential material streams. This bus tour sponsored by the New York City Compost Project will visit community compost sites in Queens and on Randall’s Island: Queens Botanical Garden, St. John’s University, Sunnyside Community Garden, and Randall’s Island Urban Farm. These sites showcase a variety of composting methods that include aerated piles, 3-bins, and other creative bin methods. Participants will get a behind-the-scenes look at institutional composting programs and also visit smaller-scale community-driven and educational programs. 9:45 a.m. – 3:00 p.m.
Join this walking tour of Harlem’s community compost sites: Harlem Grown, Pleasant Village Community Garden, Lydia’s Magic Garden, and Herb Garden. These sites demonstrate how organic materials can be managed hyper-locally and be used to build soil for growing plants. This tour features a variety of volunteer programs and will also feature how youth can be engaged in the composting process. Bring your own lunch! 12:15 p.m. – 8:30 p.m. The bike tour will start on the Lower East Side and end in Long Island City. CitiBikes, a bike sharing company, is sponsoring this tour and providing the bikes! (Bring your own helmet if you want one.) The ride is 9 miles total and moderate difficulty (mainly flat, crosses one major bridge and one moderate bridge). The tour will highlight a number of composting methods, including bokashi, aerated static piles, a GORE Cover system, and a bike hauling operation. Sites include: El Sol Brillante Community Garden, Reclaimed Organics, La Casita Verde, Java Street Community Garden, The NYC Compost Project hosted by Big Reuse’s Queensbridge site, and Smiling Hogshead Ranch. A BBQ dinner at Smiling Hogshead Ranch will cap off the tour! Brooklyn Grange operates the world’s largest rooftop soil farms, located on three roofs in New York City, growing nearly 100,000 lbs organically-cultivated produce each year. Now in its ninth season, Brooklyn Grange also hosts events and educational programming, provides urban farming and green roof consulting and installation services to clients worldwide, and partners with numerous non-profit organizations throughout New York to promote healthy and strong local communities. Join this guided tour to learn about Brooklyn Grange’s first rooftop farm located in Long Island City, Queens, and its O2Compost solar-powered system. The 1-acre (43,000 square foot) rooftop farm was built in 2010 and has roughly 1.2 million lbs of soil. 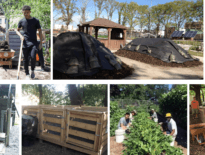 The compost system handles vegetative by-products, chicken manure, food discards generated by food processing companies, food waste from events, and kitchen scraps from restaurants in the surrounding neighborhood. Finished compost is used on the rooftop farm to amend the soil. Panel 1: New York City Rocks Community Composting! 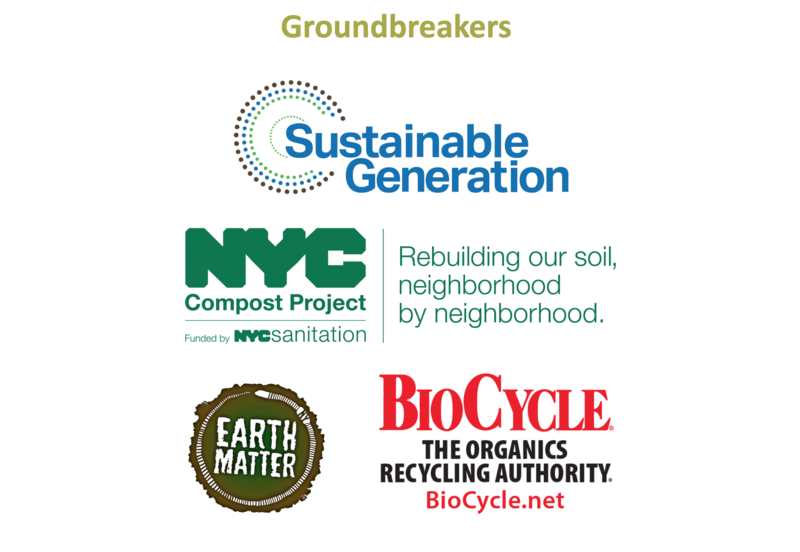 New York City has more than 250 community compost sites located throughout its five boroughs. These operations span different systems, organizational structures, and sizes. This panel will share lessons learned and tips for replication, and feature how the City supports food scrap collection at farmers markets, community composting, demonstration sites, and training through its NYC Compost Project. How does compost enhance and interact with the soil? How does it sequester carbon and contribute to climate resilience? How can community composters produce the highest quality compost? This panel will address these questions as well as how to utilize compost for growing food, managing nutrients and stormwater, and controlling soil erosion. This panel will feature practitioners addressing social, environmental, and food justice issues through their composting operations and activities. In this session, participants will have the opportunity to share clever strategies, tips, and techniques for accomplishing familiar tasks more easily and efficiently. These are done as informal lightning talks. No presentation, no slides. Each participant has 90 seconds. Aim is fast transfer of information by as many peers as possible. HI New York City Hostel, 891 Amsterdam Ave. 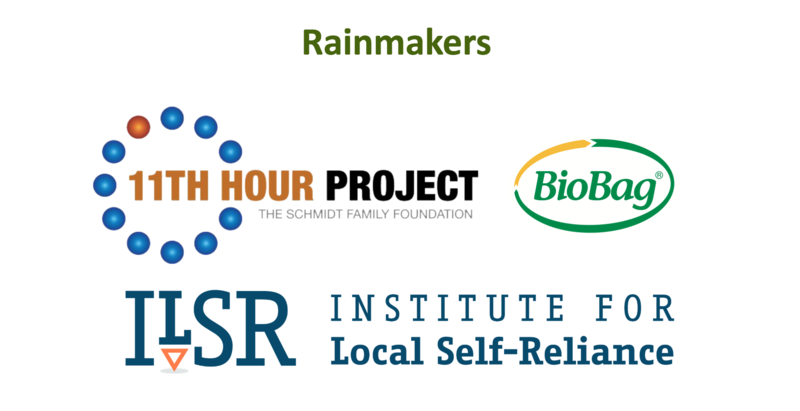 This panel will feature presentations on starting a composting company, challenges and opportunities working with local governments, scaling up your business, the pros and cons of community partnerships, entity structures, financing, and more. In this interactive session, experts will talk and answer questions about best management practices for community-scale sites and how to avoid rodents, nuisance odors, and pathogens. Learn how to sponsor here! 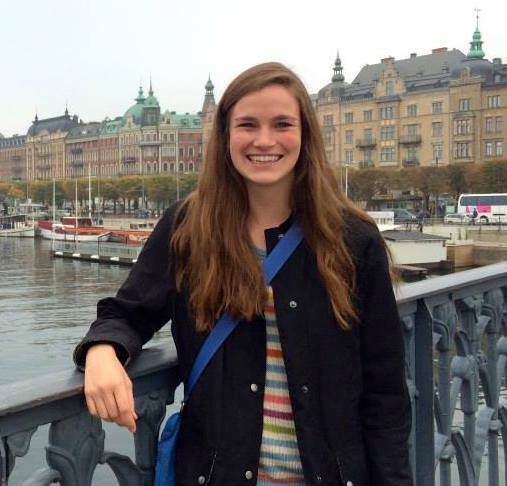 Virginia Streeter is a Research Associate for the Composting for Community Project.